Last year NHS Trusts across the country immunised 69% of all frontline workers. The annual staff flu vaccination programme is a huge undertaking for NHS Trusts. It takes an immense effort to sign up and immunise that many people. 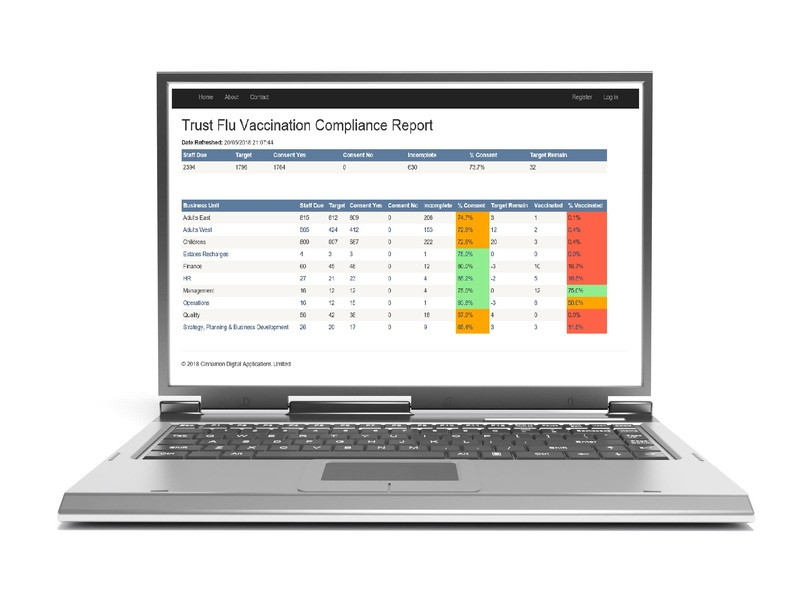 Most Trusts use manual data collections and process their immunisation data using excel lists or paper tally charts. This involves significant time, space and staff resources to manage the process. HR and Occupational Health spend alot of time keeping up to date with the numbers. Tracking which staff have had the jab and chasing people and departments to get compliance rates up. Our electronic staff flu application manages all of this and makes things simple for your staff. Make sure that you acheive your CQUIN target by using our staff flu application. It is web-based and available on all platforms including mobile. It offers complete flexibility will help you get to that 75% target. Our reporting tools let you monitor CQUIN compliance in real time without updating spreadsheets or paper forms. This is a game changer and will help you focus on the 75% target.